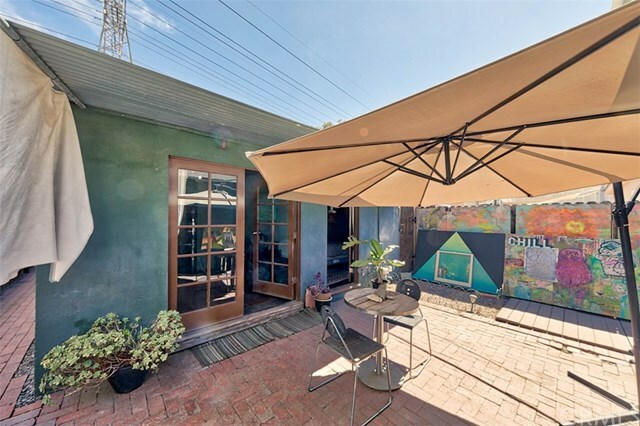 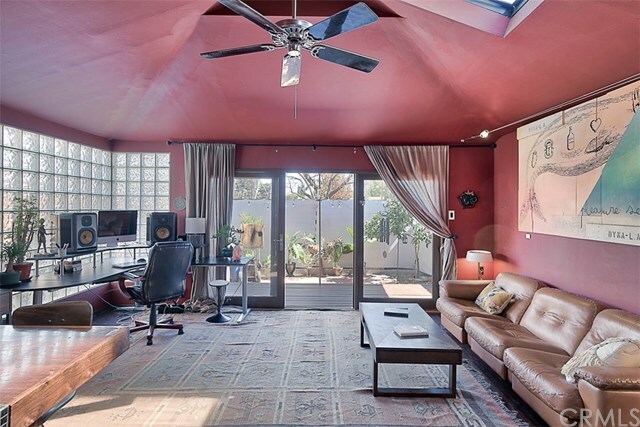 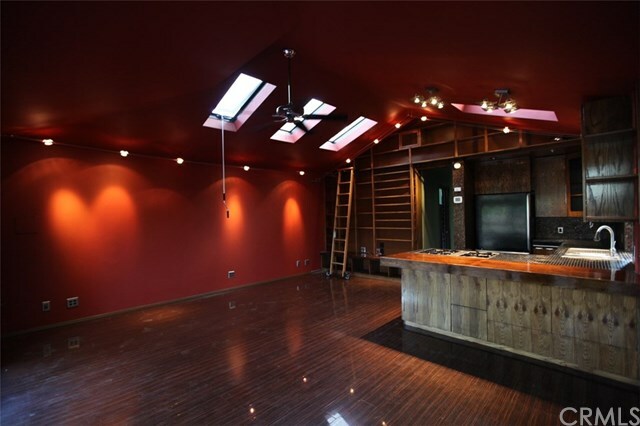 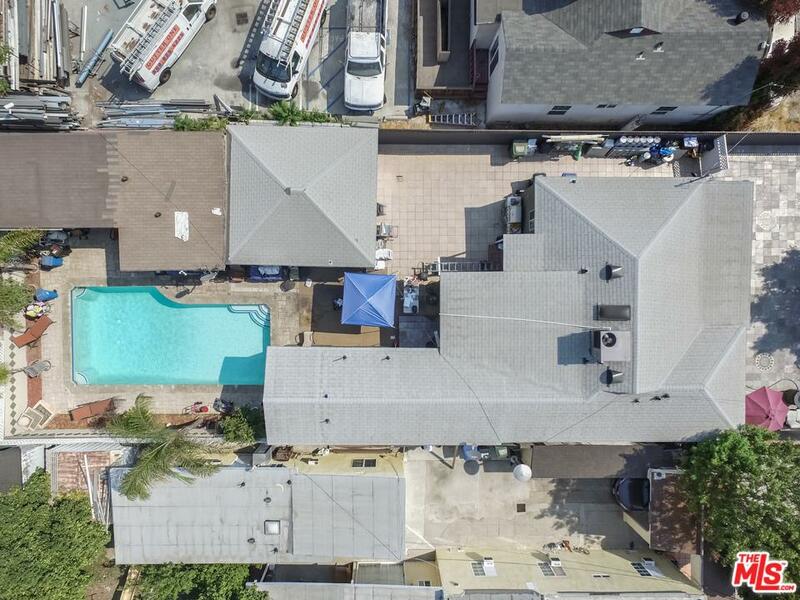 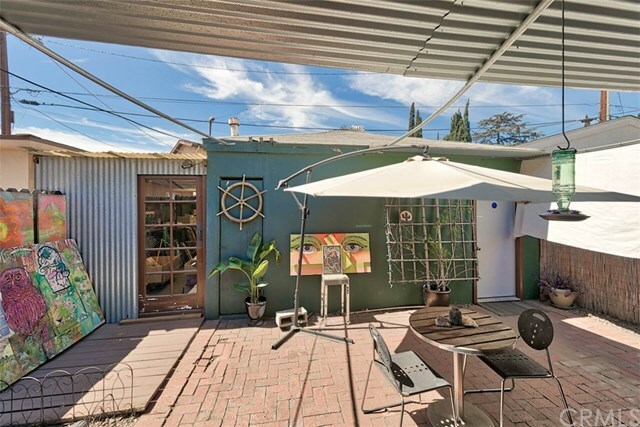 Great Opportunity to work your business/creative studio from home or be a Landlord in this unique LAC2 Commercial Zoning property! 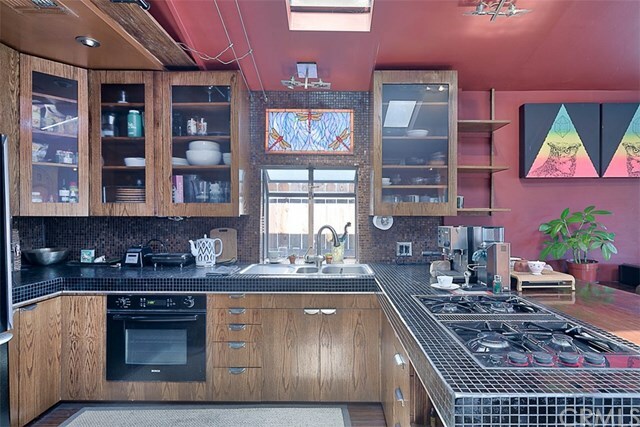 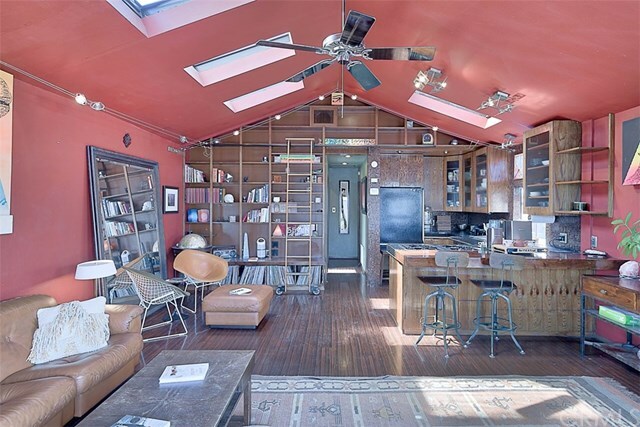 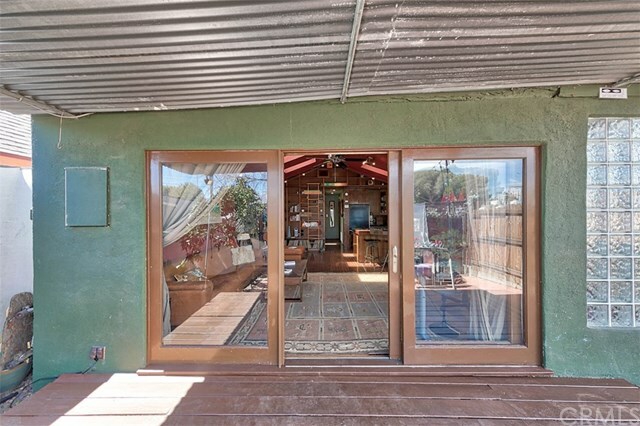 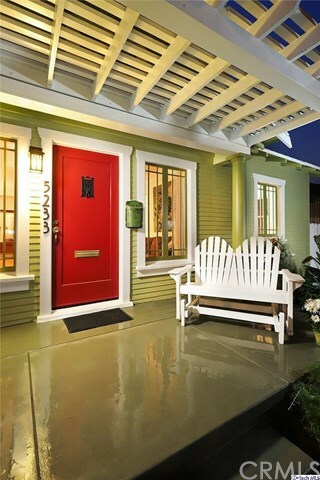 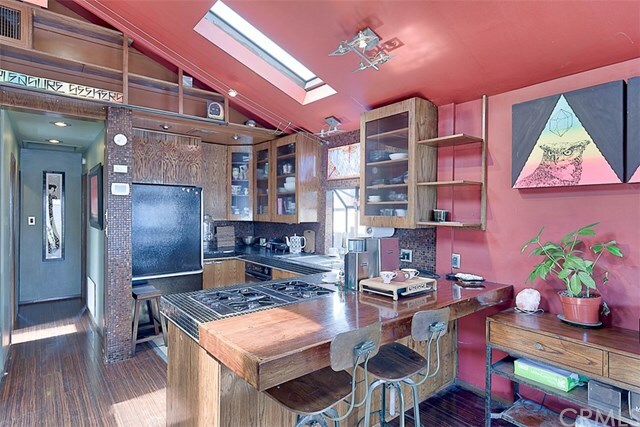 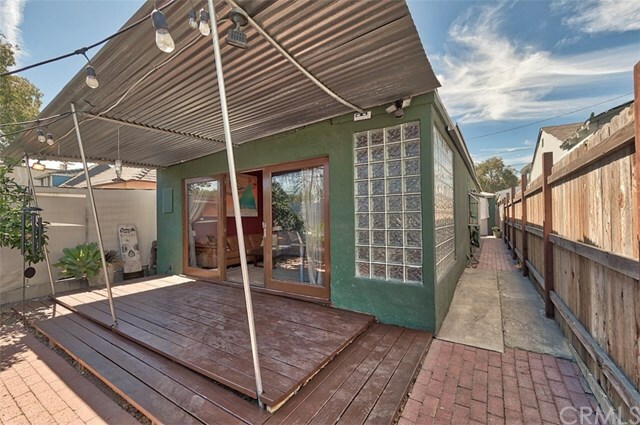 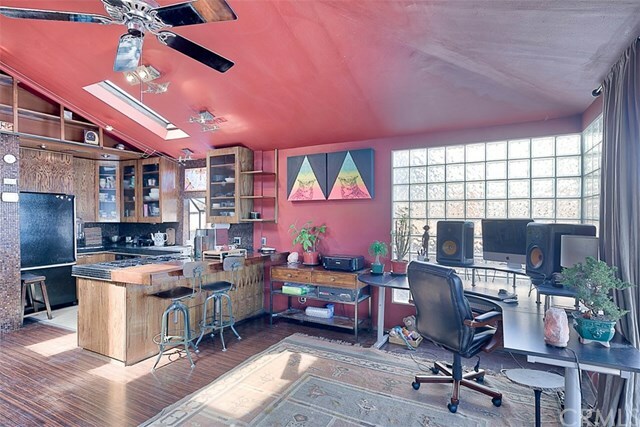 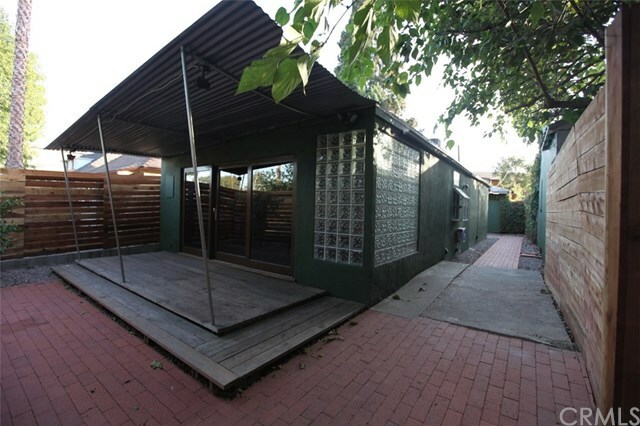 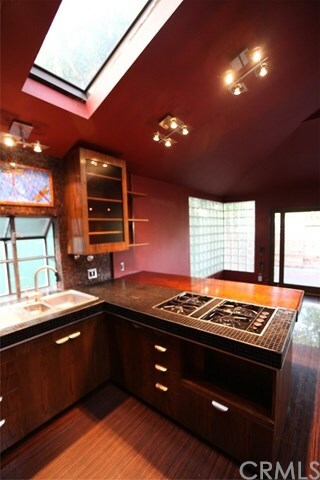 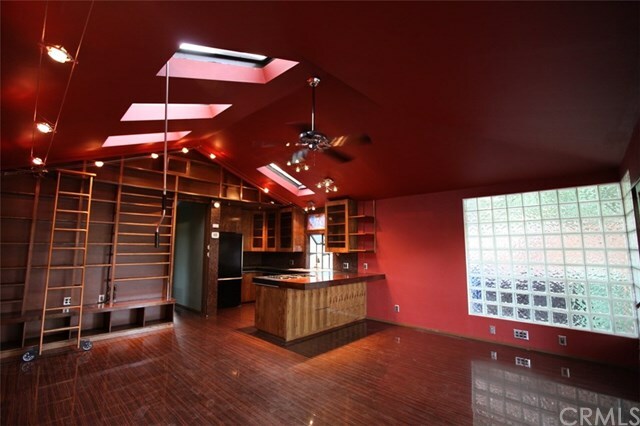 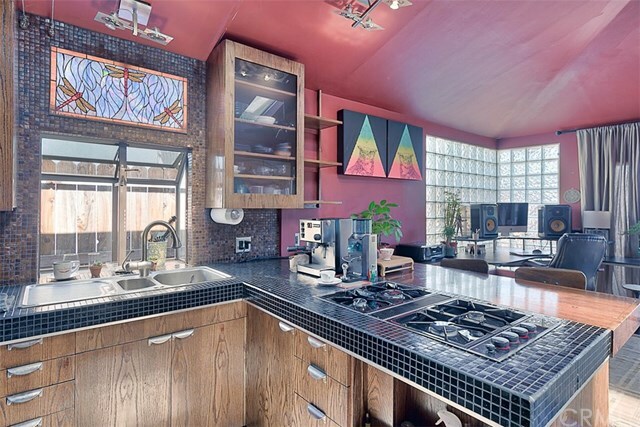 This is a unique Hand-Crafted Artistic designer 2 bedrooms + 1 bath Bungalow home in North Hollywood. 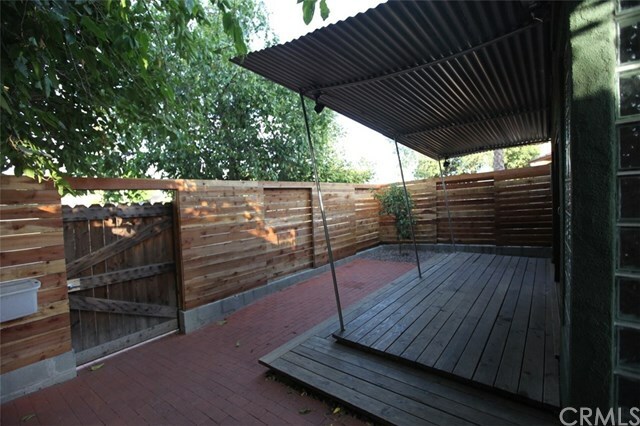 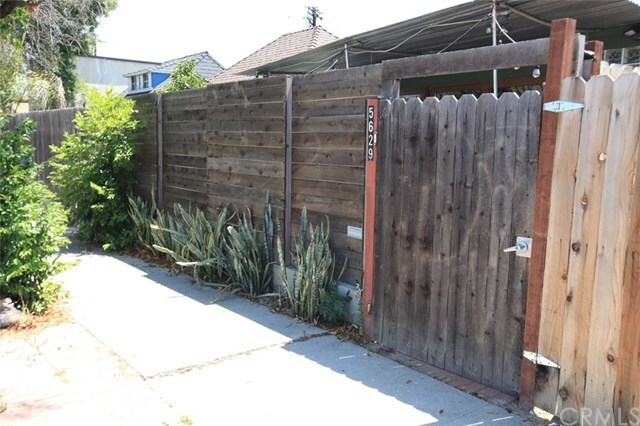 This property offers tall private fencing at the entry, creating a private and secure sanctuary one block from Burbank Blvd. 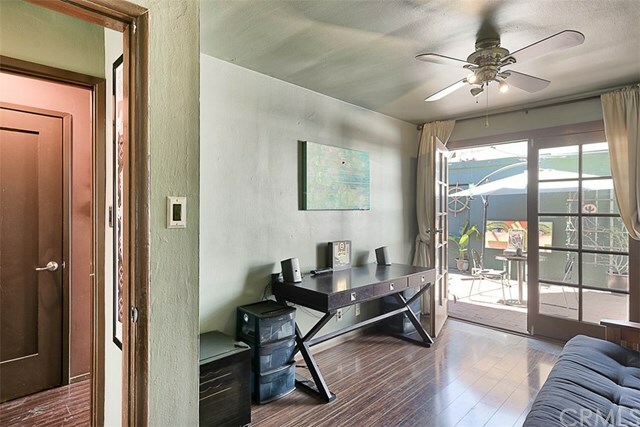 Instantly notice the wood deck that invites you to open the triple glass sliding doors into an open-ceiling grand room, a designer-detailed creative loft-style live/work space with an open designer kitchen featuring hand-made hardwood cabinets, Italian glass tile and Walnut countertops, gas and convection oven cooking, and plenty of natural light coming in from four skylights and a glass block corner wall. 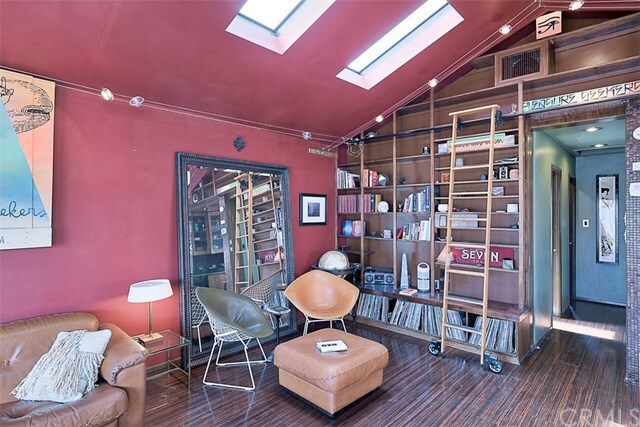 The living room area includes a floor to ceiling oak library with oak sliding ladder and recessed lighting. 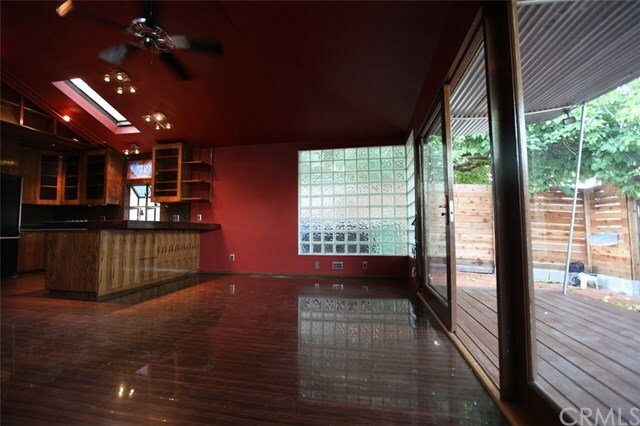 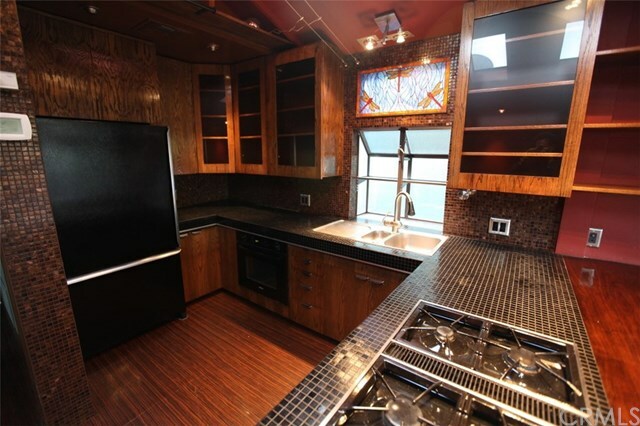 The flooring is dark wood laminate throughout. 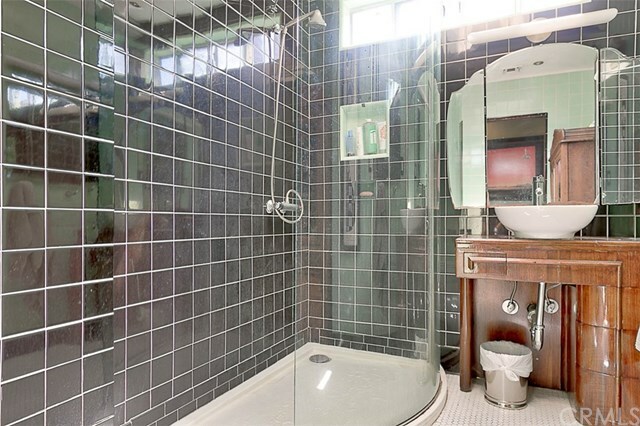 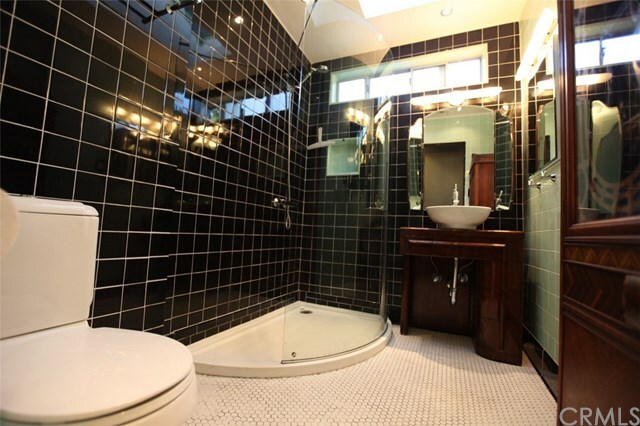 Walk down the hall to the hand-tiled black and green modernist Art Deco bathroom with a large curved-glass walk-in shower, skylight and 1930’s Art Deco cabinets. 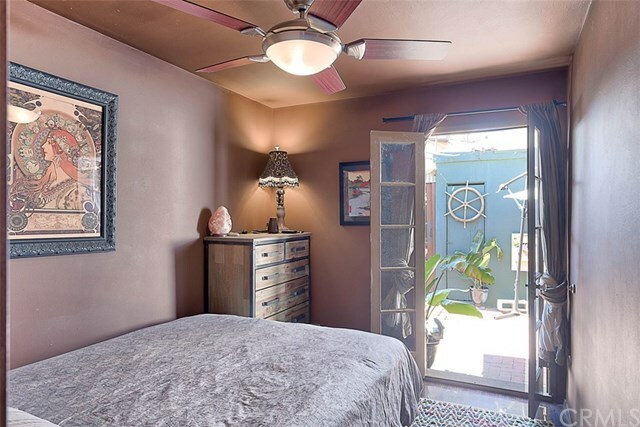 The Master Bedroom features an ample walk-in closet, and both bedrooms have double French doors leading out to the low maintenance patio between the house and the garage. 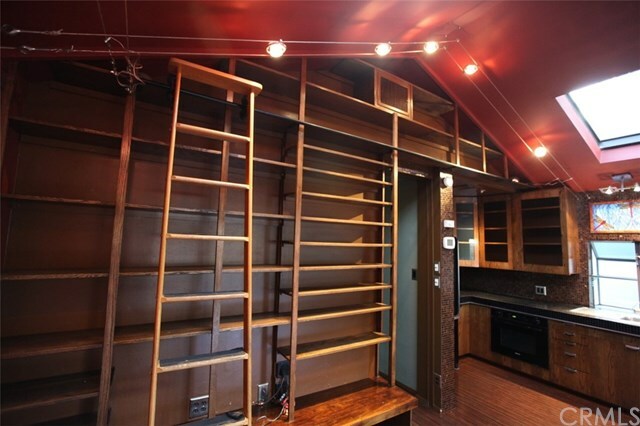 A fully enclosed shop/storage room is next to the alley-accessible two-car garage, which includes full laundry hookup. 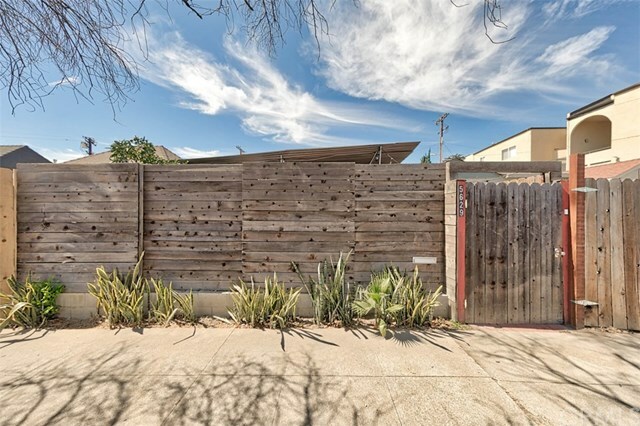 House is located one street away from the City of Burbank border. 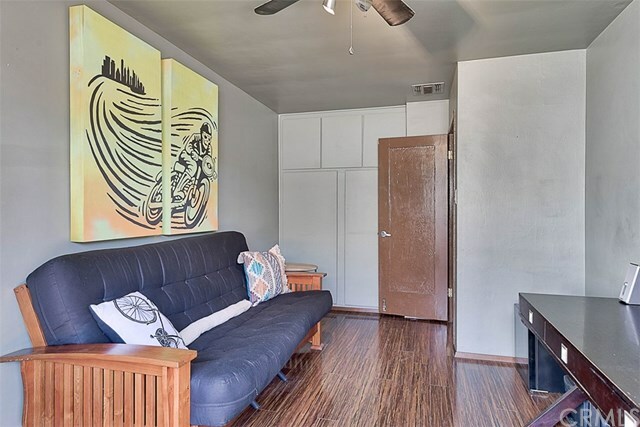 Short commute to Warner Brothers and Walt Disney.